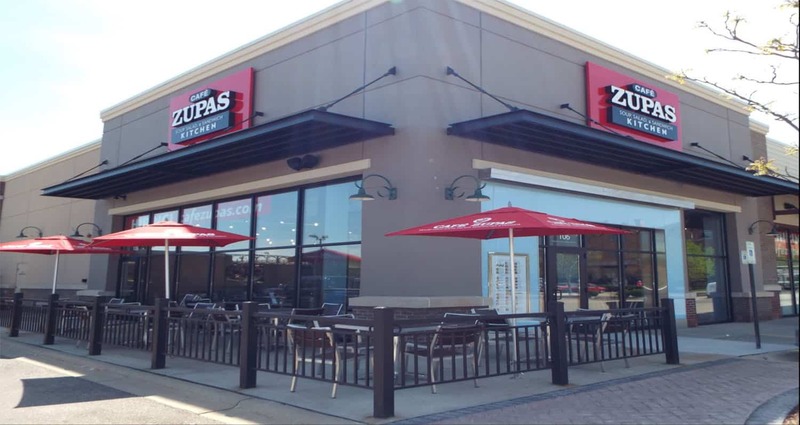 Café Zupas was ready to add WI to their list of locations. KSW Construction was highly recommended to them, so the two teamed up to construct the restaurant. Building this 4,200 sq ft restaurant should have easily taken 12+ weeks but KSW worked hard on this time line and was able to complete it in 10 weeks. Starting with an extensive demolition of the previous business. The new store front was reworked using blue spandrel glass. A 2,800 sq ft dining area included polished concrete flooring along with wood soffits giving the space an organic feeling. It took creative ingenuity when installing acoustical ceilings with exposed duct work below. The 1,300 sq ft kitchen has FRP with stainless steel trim. Epoxy floor covering was applied in the kitchen and bathrooms. 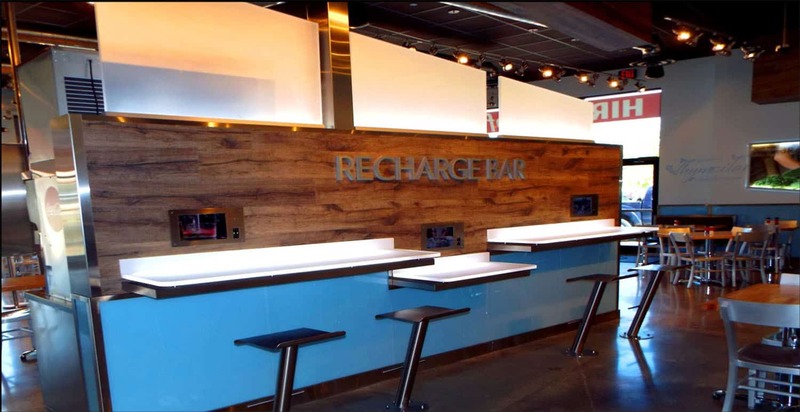 You can find a convenient “Recharge Bar” in the back of the dining room for all your tech needs. 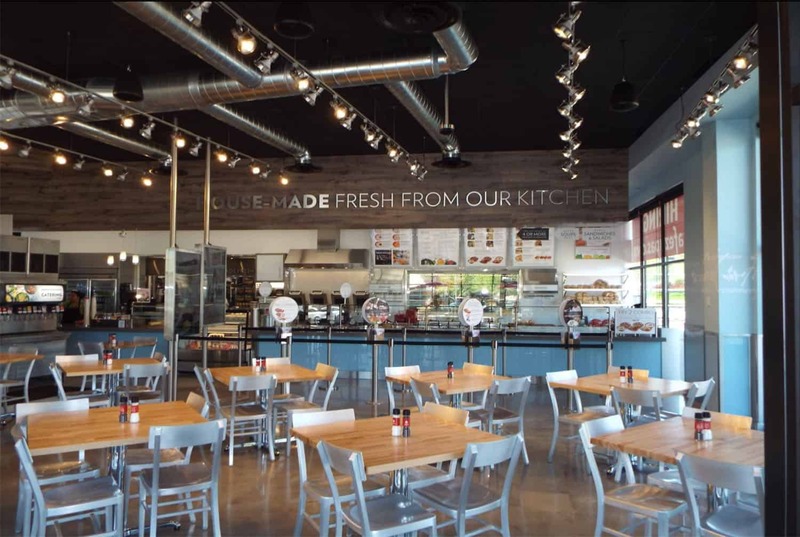 You will feel the fresh ambiance while enjoying the freshest of ingredients dining at Café Zupas.